Adolescence is not easy. It affects not only the teenager but also parents. The teenager undergoes many changes, including sexual, physical, hormonal, emotional, intellectual, and social – the combined pressures of all these changes can often become overwhelming for them and may lead to a number of mental health issues. Mental health problems are a major concern as some can be life threatening. Here are a few guidelines for parents and caretakers to positively identify any mental health issues that their teen may be suffering from. First of all, it is imperative to understand that mental health conditions can be treated. You can speak to a pediatrician, the local health department, the school’s representatives, and health care professionals regarding the treatment options available to you. This requires the understanding that mental health isn’t an individual issue, but it’s a family issue and the support of family is strongly encouraged and accepted. This is important for the teen to open his or her heart to proper treatment and counseling. Excessive sleeping that is beyond the typical teenage fatigue. This could indicate substance abuse or depression. Anorexia – averting food and significant changes in their eating habits. Bulimia – forced vomiting after eating food. You need to be on the lookout for significant weight loss without any changes in their eating habits. Stay alert for abuse of prescription drugs: According to AAP, abuse of prescription drugs stands second after alcohol and marijuana abuse. Vicodin and Xanax are the most commonly abused drugs. Understand that over-the-counter (OTC) drugs can also be abused. Teenagers often misuse cough and cold medications that contain sedatives. If you have any concerns regarding the health of your child – both mental and physical – you should first address your child. Opening the channels of communication is a great way that can pave way for a better understanding between you and them. If this does not work, then it is strongly recommended that professional health care staff be involved along with school management in order to control the situation before it gets any worse. 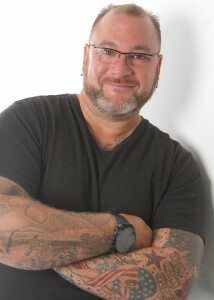 ** Jeff Yalden is a teen and family communicator and motivator. As a youth motivational speaker, Jeff is highly regarded as the Teen Whisperer when it comes to teens and mental health, suicide and teen depression. If you are interested in Jeff visiting your high school, middle school, and parent/community, please visit www.JeffYalden.com. Also, please visit www.NotTheSolution.com for Teen Depression and Teen Suicide if you know of a teen that is hurting.